"My husband & I have sold 3 houses with Charity being our agent & bought 1. She is wonderful. Listens, very helpful in every way she can. Always calls back or texts or emails. She is #1 agent in our eyes!!! :) Always honest. Thanks Charity for being so sweet & funny!!!" "We had our house on the Market for 9 months before we met Charity. We took it off the market for a couple months and then put our house in her hands. Within a month of Charity listing it we had numerous showings and a contract. I will use Charity everytime I need to sell real estate." "Charity was recommended to us by a previous client. We are very pleased with her performance selling our home. Our home sold quickly and for a price we were pleased with. Charity knows her business and is professional, courteous and joy to work with. We would have no hesitation recommending her to friends and family in the future." 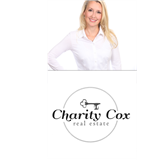 "Charity Cox has been our Realtor for several years, so that means we have been extremely happy with her for several years. She is always professional and appears to sincerely loves what she does. She is very ethical and trustworthy, which is exactly what you want your Realtor to be." 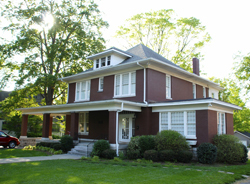 Are you thinking of buying a home in the Augusta County area? 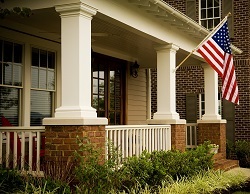 Located in the picturesque Shenandoah Valley, towns in Augusta County VA offer quality homes and a superb livability. Home to charming cities like Staunton and Waynesboro, the county offers a wealth of real estate opportunities to discover as well as great parks, shops, restaurants and other amenities. For those seeking affordable homes in a scenic and beautiful area, Augusta County is always your best bet. Finding the right home can be a difficult process but no matter what you are looking for as an experienced Augusta County real estate agent, I can provide you with the resources you need to make the home buying process simpler, from specific neighborhood information, to tools to estimate your mortgage payments, and buyer resources and articles that will help you through the home buying process. Homes for sale in the county include charming single-family homes in pastoral neighborhoods, historic townhouses, quaint starter homes and modern homes with spacious interiors and coveted amenities. Real estate in Augusta County also enjoys prices well below the national average, not to mention competitive interest rates and solid property values. In addition, many properties for sale also offer picturesque countryside views and easy access to nearby parks, trails and scenic protected areas. Whether you’re looking for a quaint place to retire, new home for your growing family or an affordable starter home, Augusta County has plenty to choose from. Thinking about selling real estate in the Stuarts Draft, VA area? No matter which market you're in, you can use the marketing programs and experience of a qualified Stuarts Draft, VA real estate agent like me to help sell your home quickly and at the right price. Learn more about my service, see information about recent home sales in Stuarts Draft, VA, or contact me to get started today! Are you interested in more Stuarts Draft, VA area details? Please take a minute and browse my local neighborhood and school details, real estate mortgage information and interactive maps for the Stuarts Draft, VA market. In addition to its affordable real estate market and top-notch property choices, Augusta County also hosts great amenities and attractions as well as an outstanding quality of life overall. The county offers a peaceful setting and idyllic, picturesque scenery all around, creating an enticing opportunity for homebuyers. Additionally, the county offers excellent public schools, a modest cost of living and a strong, diverse economy. Augusta County holds a wide array of places to live as well, from quiet countryside towns to historic yet vibrant cities like Staunton. The county hosts a wealth of local attractions and sites of interest to explore too, including the scenic Shenandoah National Park, Natural Chimneys Park, the American Shakespeare Center, the Museum of American Frontier Culture and the verdant George Washington National Forest, a great spot for hiking, camping, biking, bird watching and much more. Those interested in buying or selling homes in beautiful Augusta County should contact me for more information. With its picturesque scenery, reasonable property prices and exceptional quality of life overall, Augusta County offers one of the top real estate opportunities in Virginia today! Thank you for visiting www.homesweethome4u.net! 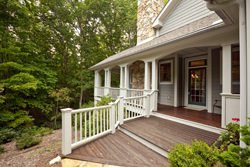 This is a one-stop real estate website for all your home buying and selling needs in The Shenandoah Valley Area. I’m a professional real estate agent who will help make your search for a new home an enjoyable experience. Please feel free to contact me directly if you have any questions about the Shenandoah Valley real estate market, or buying or selling a home in The Shenandoah Valley!